Davido gets it right with his mom, but wrong with women. When Davido’s January 27, London concert sold out at the 02 Arena, with a crowd of more than 20000 people, the music maestro was so overjoyed that he credited the triumph to the help of his late mother. His mom, Veronica Adeleke, died when he was 10. A woman of rare beauty and a music lover, she had owned a record label in the 90’s which she named after Davido, who must have inherited her love for music, and a sign of strong bond between mother and son that even death is unable to break. Much like Catholics understanding of devotion to Mother Mary, he believes that she is very much alive in heaven, helping him each step of the way. In his mind, love for his mom pushes him to give his best. Interestingly, this devotion to his mom, rather than offend anyone is in fact making him appear more humane, warm and attractive to his fans especially women, yet his relationship with other women leave much to be desired having fathered two daughters from two different women while in a public relationship with a third. Considering that he has over 2 million followers on face-book and many more on Instagram, many of them young people, one can see that his loose lifestyle is having bad influence on public morals. As a role model, he is teaching his young fans to behave like cows, next he will teach them to be content to go the way of goats. He is sending the wrong message to young people to act like miserably beasts who dont know how to control their passions. Davido whose music career took off with his 2011 hit single “Dami Duro” and gained him a huge student fan base should remember that his mom, apart from her love for music, was a teacher, a university lecturer, who loved academics and taught her students well, and desired that her students do well in their studies. Without a doubt, she would desired that his music and songs helped his young fans achieve academic excellence, by being a little less salacious, and more focused on themes that encourages learning, extolling the virtues of hard work and family. Thus it is meet and proper for him to recognize his moms help, but it’s even better for him emulate her love for family, marriage and try to emulate it. Davido’s Father (Middle) with daughters by his side and his son Davido standing behind with his elder brother. Moreover, he enjoyed and continues to enjoy the dignity and prestige of being born in a family. His mom met his father Adedeji Adeleke in the 80’s; they fell in love, got married and had four children. Where his parents not properly married, perhaps he would not be who he is today. Why then would he deny his own children that same dignity? It is unfortunate, unfair and rather irresponsible. One could argue that wealth and popularity has gotten into his head, but his father was a very rich man, and popular, yet there aren’t evidence that his money or fame influenced him to lead a reprobate life, having, and children with other women apart from his mother. Without a doubt, his parents good example of lifelong love, marriage and great family atmosphere has contributed in no small measures to his own success; his children has a right to expect same from him and would be a dereliction of duty if he fails to do so. In fact one could even say that he is setting his daughters up for failure since studies show that children from stable homes do way better than one from broken homes. His mother, like all mothers know a great deal about love. Through marriage, God opened a fruitful channel for her love to share in the power God on free and responsible transmitting of life, rather than the wickedly undermining God’s plan because selfish human pleasures. I am sure, Davido’s mom watching over him so motherly, wanting the best for him, would wish him to stop sowing his wild oats around, settle down, get married and treat his wife and children with more respect. She would wish to tell him that running around and fathering children shamelessly with different women isn’t a very good way to pay her back for all the toil and hard work in bringing him and his 3 siblings up and that he must stop taking advantage of women if he truly loves her. Should I keep this secret from my spouse? Marriage experts and real women debate the gray areas of keeping secrets from your husband or wife. What you don’t say in a marriage can be even more telling than what you do say. Stacey Greene, author of Stronger Than Broken: One Couple’s Decision to Move Through An Affair, knows this fact better than most. After learning about her husband’s secret affair, she wrote her book to document her harrowing journey of recovering from that infidelity as a Christian woman. While writing and working through her unfortunate situation, Greene realized a simple truth about marriage: no secret is worth keeping from your spouse. That may sound extreme to some of us who like a little confidence-boosting white lie every now and again. But as far as Greene is concerned, one small secret as mild as an unflattering piece of clothing has the potential domino into more secrets and jeopardize the foundation of trust between husband and wife. “Trust is at the pinnacle of any lasting and meaningful relationship,” she says. “We need to ask ourselves why would we even want to keep a secret from our wife or husband. What is the purpose? What are we afraid of the other person finding out about us?” Greene’s argument suggests that the underlying motives for telling the truth should outweigh the sometimes awkward or temporary wounded recreation your spouse might have. To her point, most of us don’t really want to leave the house in a dress that doesn’t look nice. Greene argues that no matter what kind of secret you may want to keep, your spouse will eventually learn the truth. First and foremost she applies this to money. “If it is a financial secret, it will no doubt come out at some point,” she says. “Maybe it will come out at tax time, or when you must declare bankruptcy or lose a home. There goes trust and security in the marriage.” Financial talks are difficult — there’s no doubt about it. But between arguing about truths now rather than realizing your assets were actually a pack of lies later … which would you choose? And this goes both ways: if you feel you’re in the dark about your joint finances, don’t stay there; speak up. There’s no time like the present to find out the real scoop. But the other big lie married couples often worry about is fidelity: “If it is a relationship secret (like cheating or being cheated on), there is a distinct probability that the affair will eventually be found out,” says Greene. “If it is a health secret (like he or she had been sleeping around), then diseases can be transmitted to the innocent partner. If there was a secret child from another relationship, that child may look up his biological parents and disrupt the lives of the biological family.” So the chances of being caught in your lie are many, and possibly all even more hurtful than hearing the truth directly from your partner. Though, of course, it’s always better simply not to do anything in a marriage that you feel you need to lie about to begin with. Anni Harry, who is a married Catholic woman, agrees that chances are good you will get caught no matter what, so you might as well be honest with your spouse in the first place. But are there tiny exceptions? 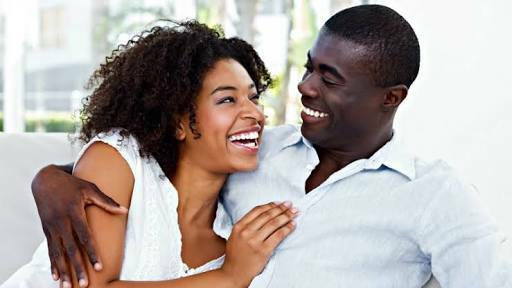 Still, some married people argue that there are minor or short-term secrets that may be safe to keep, as long as your relationship is still largely based on trust and open communication. For instance, gifts. “Small secrets — like, what you are gifting for birthdays, Christmas, etc. — are okay, but if it is pricey, I run the price by him first,” she says. Alicia Schonhardt, the blogger behind the Catholic homeschooling blog Sweeping Up Joy, says that her secrets are her harmless guilty pleasures. Chiara Pierpaolo Finaldi, a married Catholic woman in London, doesn’t believe you have to own up to all your tiny, embarrassing mistakes … though don’t expect to keep such matters a secret for long. But slightly more substantial secrets may make sense to guard, too. If your friend has told you something in confidence that has absolutely nothing to do with your husband, many women feel you can keep mum on the matter. Another type of secret that may make sense to guard is specific gossip about your husband. Other than that? “I have no secrets from him,” says Grey. Because, while there are teeny exceptions, most secrets are hurtful, if not downright damaging. Recently the New York Times ran an opinion piece by popular philosopher Alain de Botton, Why You Will Marry the Wrong Person. It was widely shared and sat at the top of The Times’ “most viewed” list for nearly two weeks. De Botton argued that the solution to marital unhappiness and divorce is to expect less happiness from marriage. In other words, swapping romanticism for pessimism can save marriages. In a follow-up debate this week six pundits opine on Knowing When a Marriage Is Over – a pessimistic premise to be sure, and all of them accept that there will be circumstances (other than abuse) where it will be reasonable to say, “It’s over.” It comes down to “what you want”. Significantly, children are barely mentioned. But as psychiatrist Dr Richard Fitzgibbons notes below, the welfare of children is a key reason for trying to save marriages. And this is possible because the underlying causes of conflict between spouses can be brought to light and healed – again, if “you want”. Not all optimism is merely romantic, just as pessimism is not necessarily realistic. Today marriage and family life are being severely traumatized by the divorce epidemic, the explosion of selfishness which is the major enemy of marital love, and failure to understand and address serious emotional conflicts. Around one million children a year in the United States are victimised by divorce. (See my chapter, “Children of Divorce: Conflicts and Healing” in M. McCarthy (ed) Torn Asunder: Children, the Myth of Good Divorce, and the Recovery of Origins – due out in August). The toll from marital conflicts can be severe and debilitating. Selfishness, excessive anger and behaviours that are controlling, emotionally distant and mistrustful cause grave harm to spouses and children. The loyal spouses who are victimized are often incorrectly blamed as being the primary cause of the marital conflict. These conflicts and their resolution through growth in virtues are rarely addressed in the mental health literature on marriage. In my experience the spouse that initiates divorce often has the most serious psychological difficulties. These are often unconscious wounds they have brought into the marriage. They arise primarily from hurts in the father relationship and secondarily from hurts in the mother relationship, or from giving into selfishness. These unresolved are on the periphery of the deep goodness in each spouse, the goodness that led to strong love, commitment and marital vows. When they are resolved, trust grows and love is regularly rediscovered. In the latter, the primary obligation is not to one’s spouse and family but to one’s self and one’s own happiness and sense of fulfillment. Hence, marital success is defined not by successfully fulfilling one’s responsibilities to a spouse and children. It is characterized by a strong sense of subjective happiness in marriage, usually to be found in material comfort and through an intense, emotional relationship with one’s spouse and others. The role of virtues has been viewed in Western Civilization as being essential in the development of a healthy personality. The mental health field has grown recently to appreciate this approach and a new field, positive psychology, has developed – notably by Dr Martin Seligman and colleagues. (Seligman, M. & Peterson, C. 2004.Character Strengths and Virtues) Positive psychology promotes the development of virtues to address and resolve cognitive, emotional, behavioural and personality conflicts, including those in marriage. The first challenge in the healing process is to acquire self-knowledge about one’s weaknesses, most often unconscious and hidden, so that they can be addressed. My own clinical experience is supported by research that demonstrates that 70 percent of adult psychological conflicts are the result of unresolved issues from childhood. Most spouses do not deliberately set out to hurt the person they have vowed to honor and love all the days of their lives. Instead, they inflict painful wounds and even divorce because of their “baggage”/family of origin conflicts, giving in to selfishness or loss of faith. The good news is that selfishness, excessive anger; mistrustful, controlling and emotionally distant behaviors, loneliness and insecurity, and the poor communication patterns that harm many marriages can be correctly identified and in many marriages resolved, especially if there is a faith component in the healing process. But we also have to prevent marital conflict and divorce by educating young adults about how the most common relationship stresses can be uncovered and resolved. Singles can then be more hopeful about having a successful marriage, and the retreat from marriage – itself partly attributable to the experience of divorce in families – can be reversed. In particular young adults need to become more aware of selfishness, because it is of epidemic proportions in today’s culture and is a major reason for the retreat from marriage. This is a task awaiting parents, pastors and others involved in the education and formation of young people. Dr Richard Fitzgibbons is the director of Comprehensive Counselling Services in Conshohocken, Pennsylvania. He has practiced psychiatry for 40 years with a specialty in the treatment of excessive anger. Further information at: Institute for Marital Healing.